A full Battlefield 1 match from start to finish, featuring infantry and vehicle gameplay. 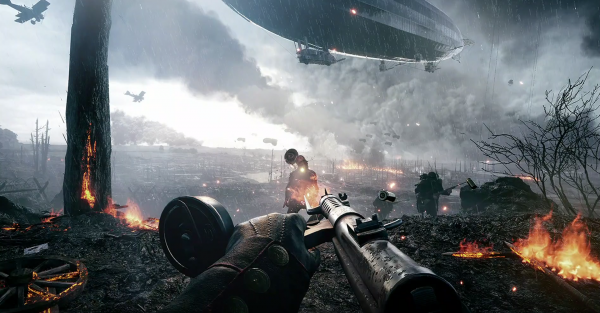 Battlefield 1 was a big deal at E3 2016. This was thanks in no small part to the amount of gameplay footage that came out of the show. Pretty much everything was shown off, from the different classes, weapons, to the various available vehicles. Although we’ve only seen the one map, St. Quentin Scar, Battlefield 1 still manages to surprise us. Today’s video comes courtesy of IGN, and it has a full round of the game. Captured on a PC running an Nvidia GTX 1080, we get to see a couple of different classes, different tanks and some other unexplored elements like the vehicle select screen, squad UI and more. This gameplay represents the game’s closed alpha which saw a couple of updates and revealed some early details about DICE’s plans for the game. Take a look.